Ever wonder if you can do something and then just go for it? I’m totally that DIYer. If I think it might work, then I’m going to try it. Especially if the cost isn’t that high. Well, I saw these random tree stumps laying around our neighborhood that I had already found useful when making a Tree Stump Rolling Plant Stand. I decided I wanted to make something else. So, I decided to make a butcher block cutting board and; guess what? It totally worked! 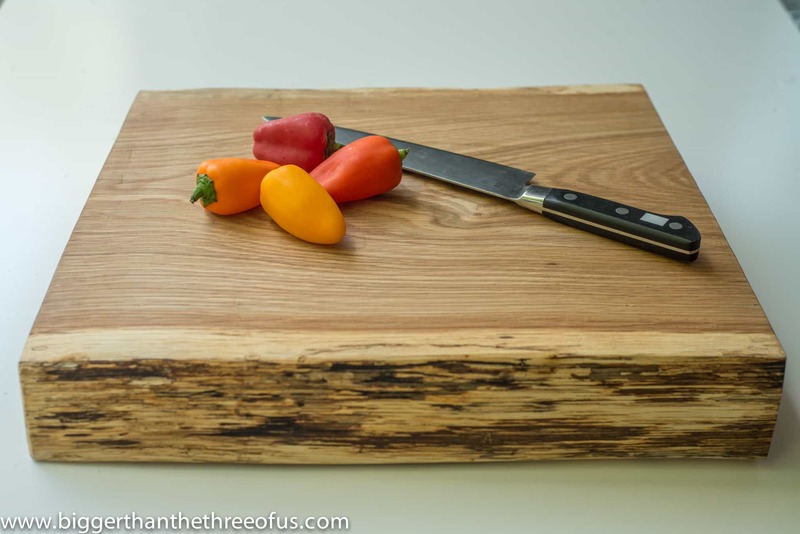 Today, I’m sharing How to Make a Cutting Board Out of a Tree Stump and it’s so easy! To get the step-by-step tutorial, pop on over to eHow where I’ve explained the whole process. *Oh, and a special thanks to my Dad for giving me a hand with the chainsaw.